I share most of my step by step progress of my La Passacaglia Quilt on IG, but I still like to post updates here too every once in a while... So here are some pictures of my progress so far. And I can't help but share some great fabric sales. FabricCadabra: 20% off all orders Fri Nov. 27- Mon. Nov. 29. 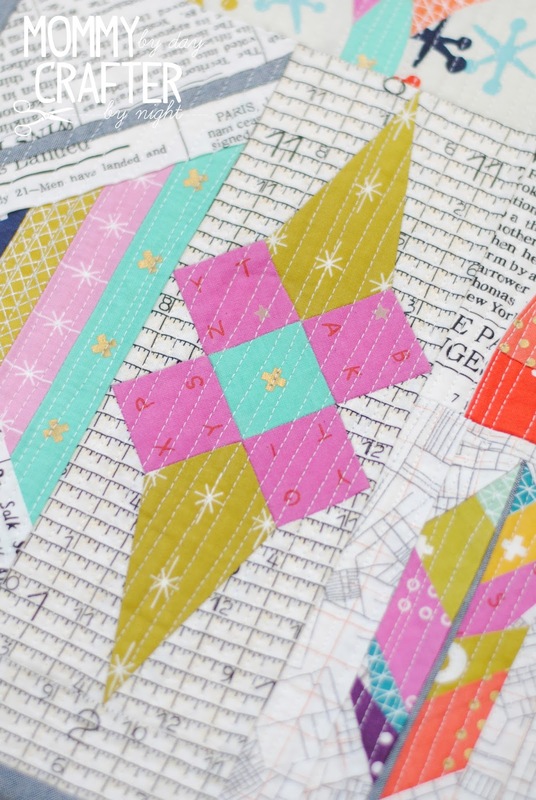 English paper piecing is hands down my favorite way to sew/quilt for a many reasons. 1. I can sit on the couch (or anywhere for that matter) while doing it. 2. 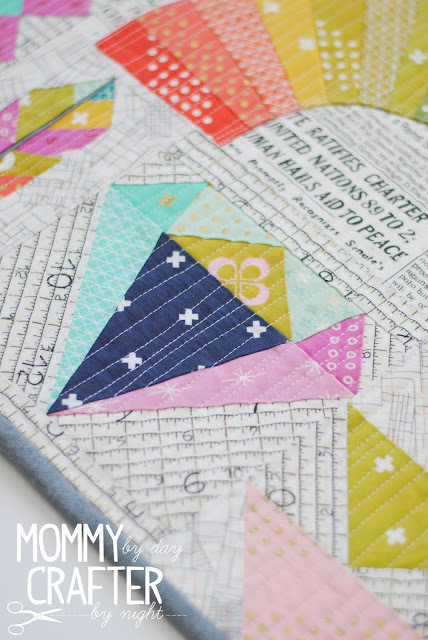 I love piecing itty bitty pieces of fabric by hand that I know wouldn't enjoy piecing on my machine. 3. 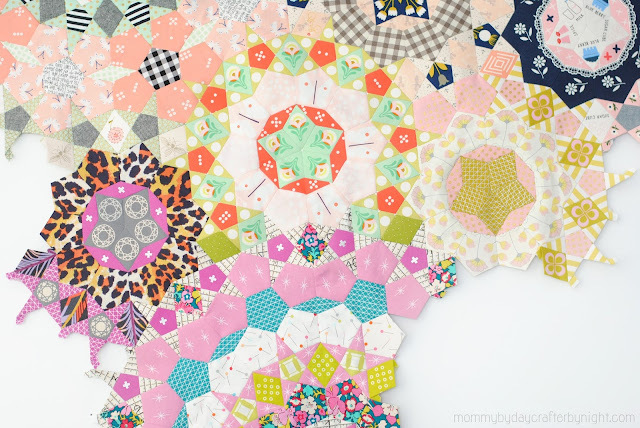 I love fussy cutting and find it easier to match up fussy cuts when piecing by hand than as opposed to with my machine. I've been doing EPP for just over 3 years and I am totally hooked. 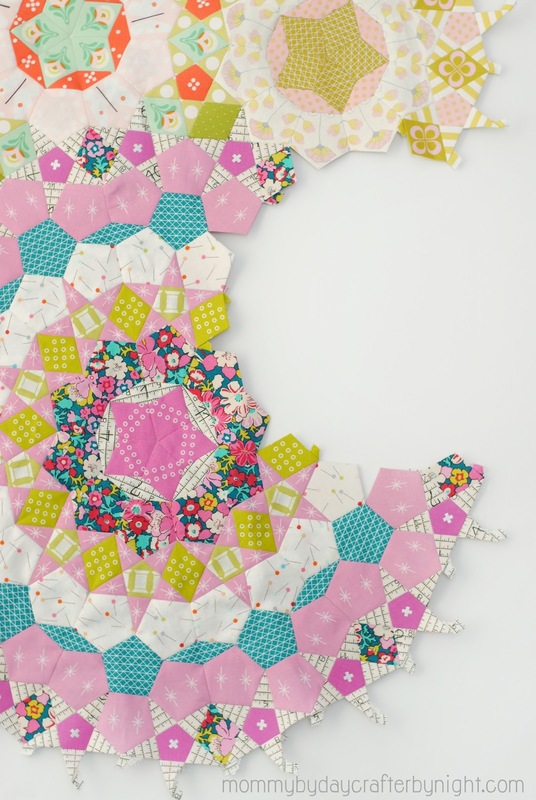 I started with hexagons in my Grandmother's Flower Garden Quilt. (still a work in progress) I am a little over half way done with my queen sized quilt. I only work on it a couple times a year. One of these days I need to get it out and work on it until it's all done before I work on my other projects! Hexagons are such a simple shape to start with. I love them. 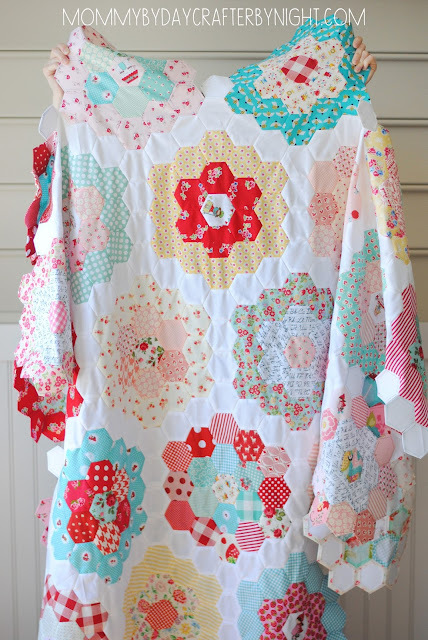 I am using 1 1/2 inch hexagons in my flower garden quilt. 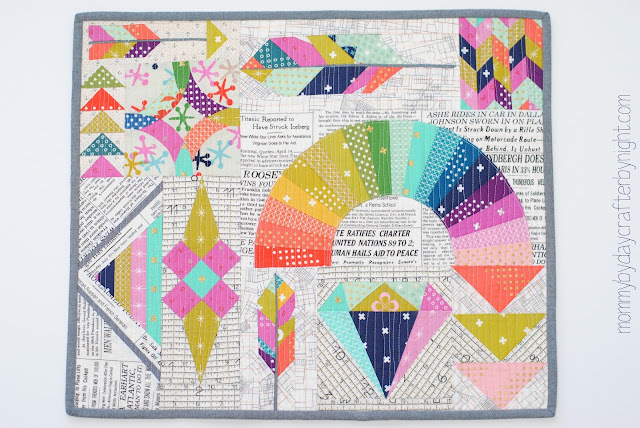 Then I came across a fun quilt on IG called the La Passacaglia. (Search the #lapassacaglia hashtag on IG and you will find the most amazing creations!) I started making mine just over a year ago. I am about 1/3 of the way with piecing the top and I am having to much fun. After thousands of hours (i'm being totally serious when I say thousands), I have come up with 6 tools that are "must haves" in my book for English Paper Piecing. #1- Pre cut paper pieces. I know that some people swear by cutting their own papers and save lots of money doing that, but in my opinion the money spent on perfectly precut papers is worth it. Let me tell you why. A. English paper piecing is labor intensive. 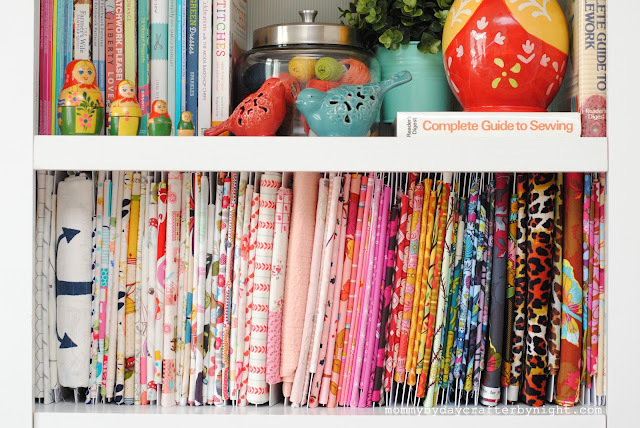 It takes lots of time to cut your fabric, baste/glue the fabric to the paper pieces, and then sew them together. Adding another step (cutting paper) to that, makes an already long process longer. 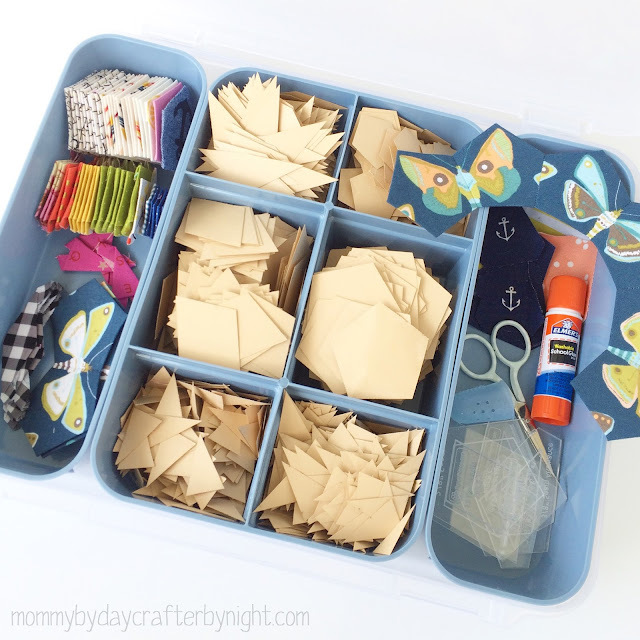 I know some people invest in diecutters and other machines to help them cut their pieces- and if that works for you- awesome! For now, I am sticking with ordering my pieces and not having to mess with cutting anything out. 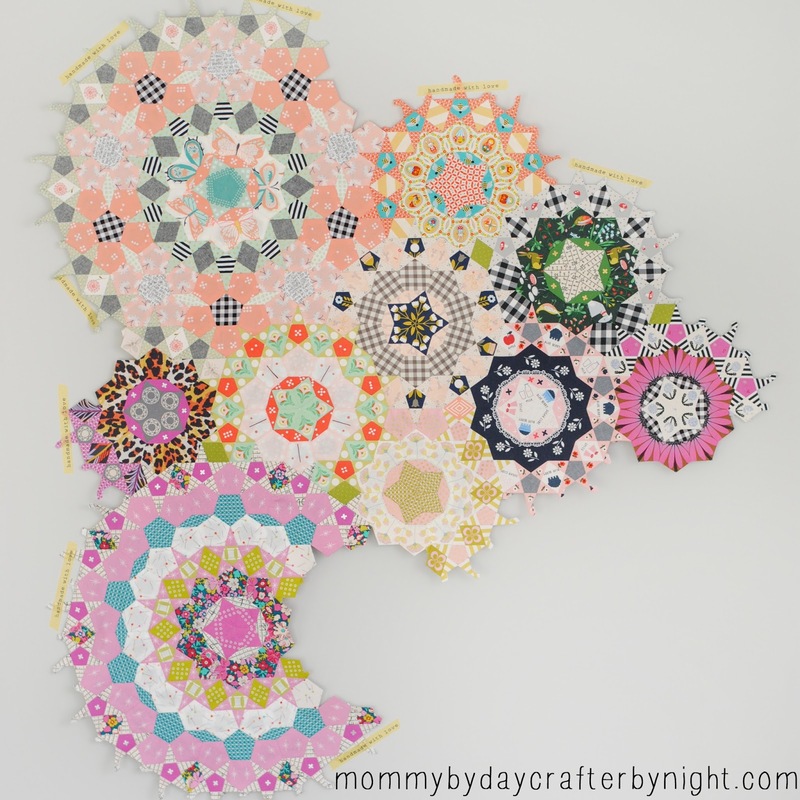 C. With a project like the La Passacaglia, there are thousands and thousands of pieces in it. If I had to worry about trying to cut all of those and make sure they were exactly the right size, I'd go crazy! It's a crazy enough project to begin with. 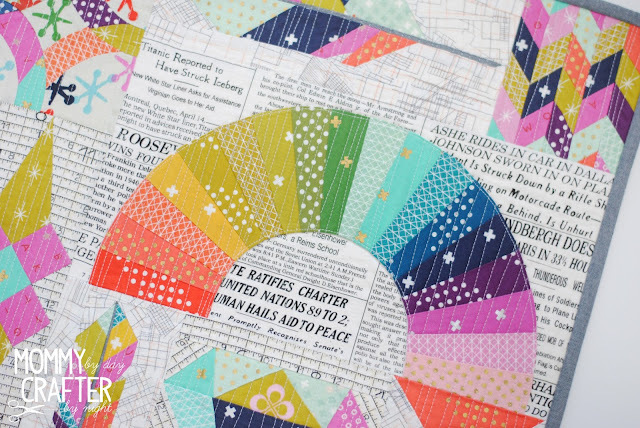 Having a pack of pre cut papers show up at my door makes tackling this quilt doable (in my opinion). ok... I think you get my drift. 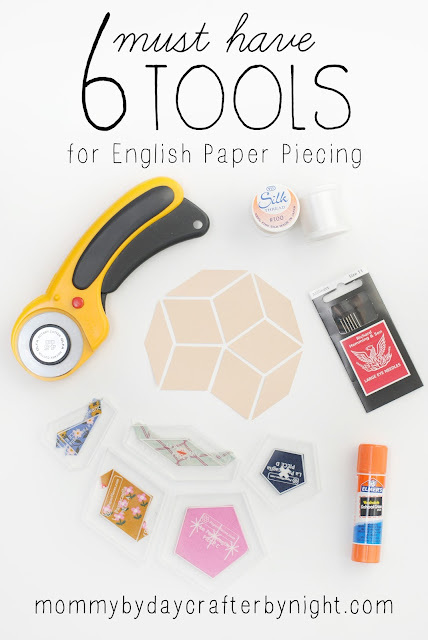 Oh man... these are a lifesaver for me and they go hand in hand with the pre cut paper pieces. These are thick acrylic shapes that match the papers you are using, but they add a seam allowance to the shape. 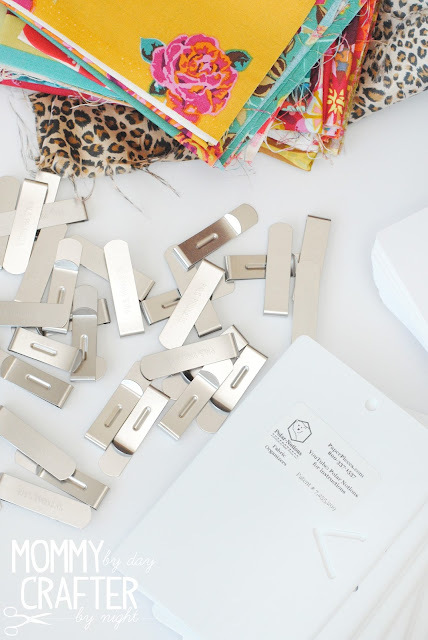 Plus they are see through, so you can easily cut your fabric and see exactly what you are cutting. This is another MUST for EPP in my book. I cut all of my fabric with the help of my rotary cutter and acrylic templates. It ensures that each piece is nicely and uniformly cut. I like this rotary cuter by Olfa best. When I started doing my hexagons, I was thread basting the fabric to the papers and it worked great, but it took about double the time as glue basting. SO many people kept telling me to try glue, but for some reason I just didn't want to.... Until I started my La Pass. I knew that there was no way I was going to be able to thread baste those tiny shapes. So I ordered a Sewline glue pen. At over $6 a pop I was a little worried about the cost of this huge project and how many I would go through. I loved the Sewline glue pen and loved the feel of the glue, but after a couple refills, my wallet was begging me to look for other options. After doing a bit of research and asking some trusted EPP friends, I decided to try the purple Elmer's glue sticks. I wasn't sure at first, but after a couple tries I was hooked. Being totally honest, I still love the feel of the Sewline pens the very best, but not enough to spend ten times the amount per glue stick. Whew... that testimonial was a little long- sorry! This is a supply that is very much debated in the EPP world. Some people swear that you should use cotton thread since you are using cotton fabric, some say polyester is best because it is strong and doesn't break, the list goes on and on... but you can bet that the answer will vary person to person. So I decided to try something else. I did some more research and settled on the Superior Bottomline 60 wt polyester thread. It is pretty near un-snapable, and I've never had it tangle on me. YAY!! So in that sense, it is such a great thread to work with. But I was still having problems with hiding my stitches. Darn! After more research and asking around, someone suggested using YLI 100 wt silk thread. I ordered some and right off the bat, it was snapping easier than the bottomline, but not as bad as the aurifil. It doesn't tangle though with is great. After getting a feel for it and it's "snapping point" I found that if I was gentle with it, I could easily hid my stitches with better results than the other threads I had tried. Yahoo! Most of my stitches are pretty much invisible with this silk thread. Since it's 100 wt, it's super fine and just blends into the fabric as long as you are using a similar color to the fabric you are using. So- to be honest, this is the supply that I am still kinda on the fence about. I love the durability of the Bottomline thread, but I love the result of the YLI silk. So I think I will go back and forth between threads depending on the project I am making. For the La Passacaglia, the YLI silk thread is my choice. For my Flower Garden quilt, I am using white fabric around each flower and don't really have to worry as much about hiding my stitches as much, so I think I will stick with the Bottomline. Hey guys! Can you believe that it's November?? I can't believe how fast time goes sometimes. October was a crazy month for me. I got super sick which lead to an unexpected surgery... Nothing serious, just had to have my tonsils out, but as a result I've been kinda scarce here on the blog for a little while. I'm almost all the way healed up and feeling soooo much better now. Thank goodness! I have been working on my La Passacaglia quilt in my down time though. If you follow me on Instagram, you've probably seen my progress. (#mbdcbnpassacaglia) This project brings me so much joy. I love coming up with fabric combinations for the cogs and rosettes and then piecing them all together. So much fun!! I'm sooo ready to get back to my machine now that I am feeling better though! I can not wait! 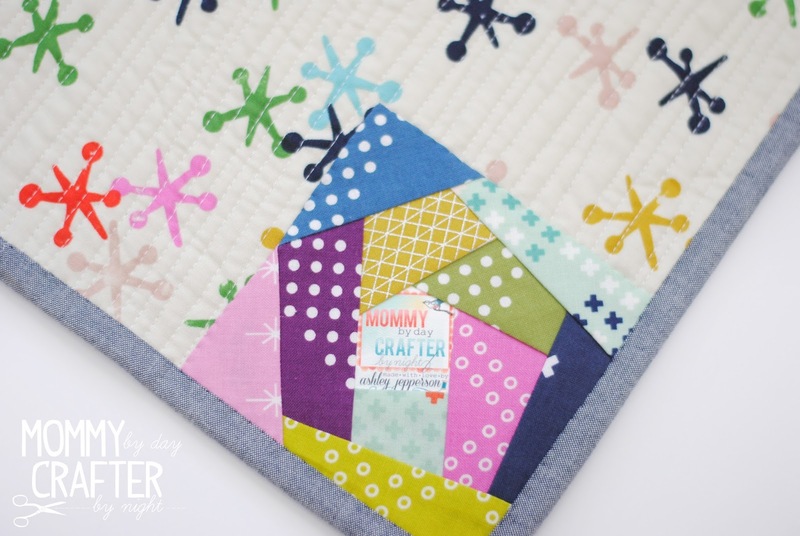 You can find the pattern in the Oliver + S Little Things to Sew book. 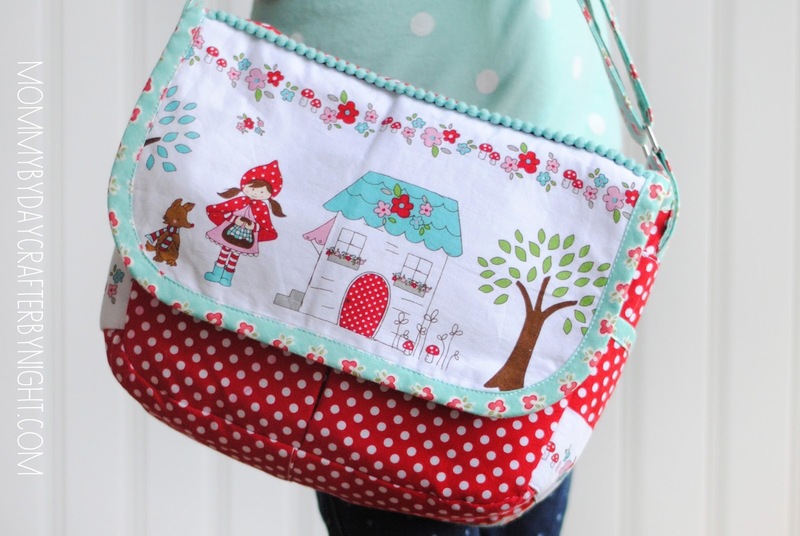 I made the smaller version, which is perfect as a little dolly diaper bag for her to play with, or to carry small books and odds and ends in. 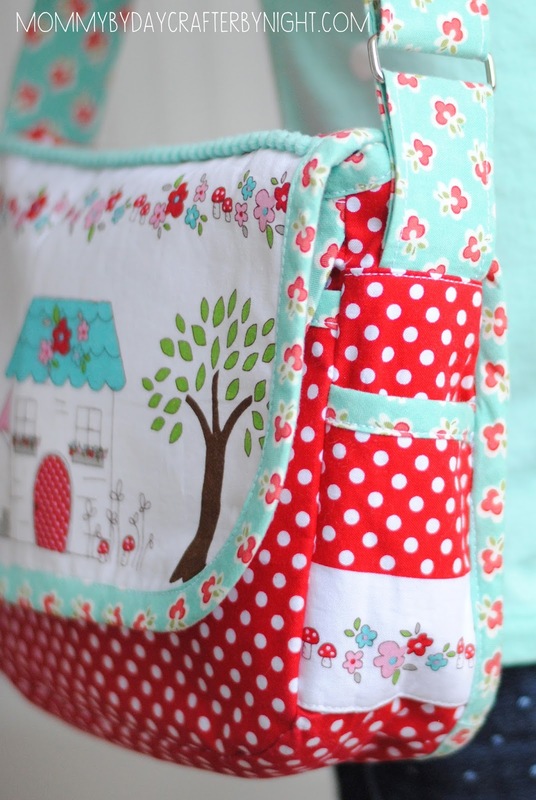 I used one of my favorite fabric panels by Tasha Noel for her Little Red fabric line. It worked perfect for this bag. I added some mini pom pom detail along the top of the bag and used some Bonnie + Camille for the bias tape and strap. I just love the way it came together. So sweet. I hope that y'all are having a wonderful day! Check back here soon for some fun Christmas projects that I have up my sleeve. Have y'all heard of the darling fabric shop FabricCadabra?? 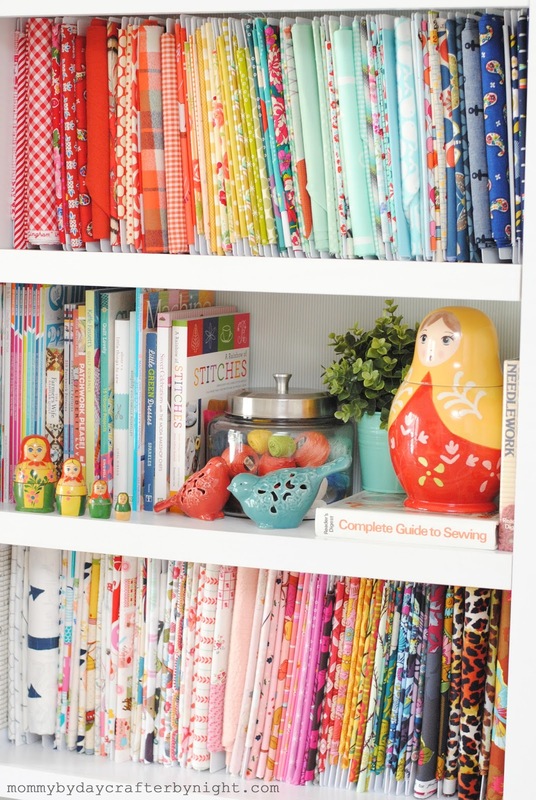 It's run by a two sisters that LOVE to sew. 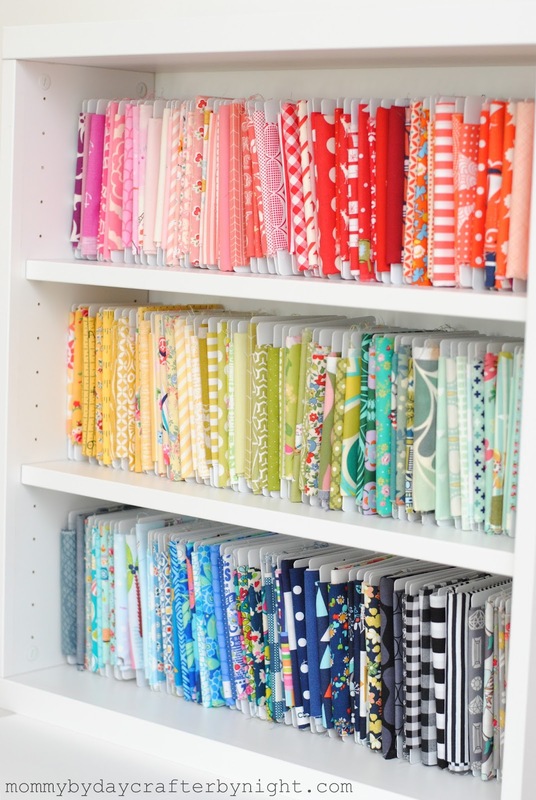 They have an eye for fabrics and carry a great selection in their shop. 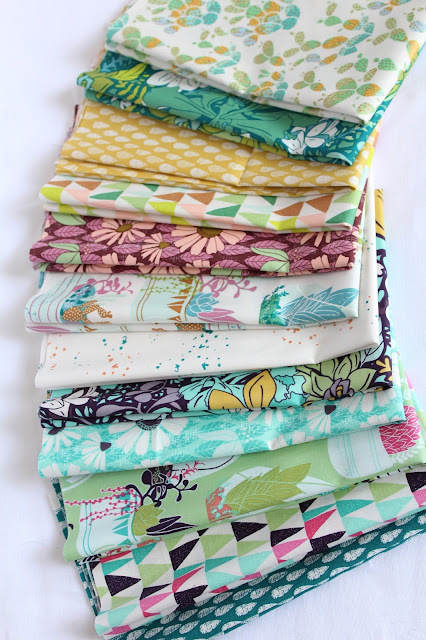 These sewing sisters have graciously offered to give away a beautiful bundle of Bonnie Christine's new fabric Succulence. 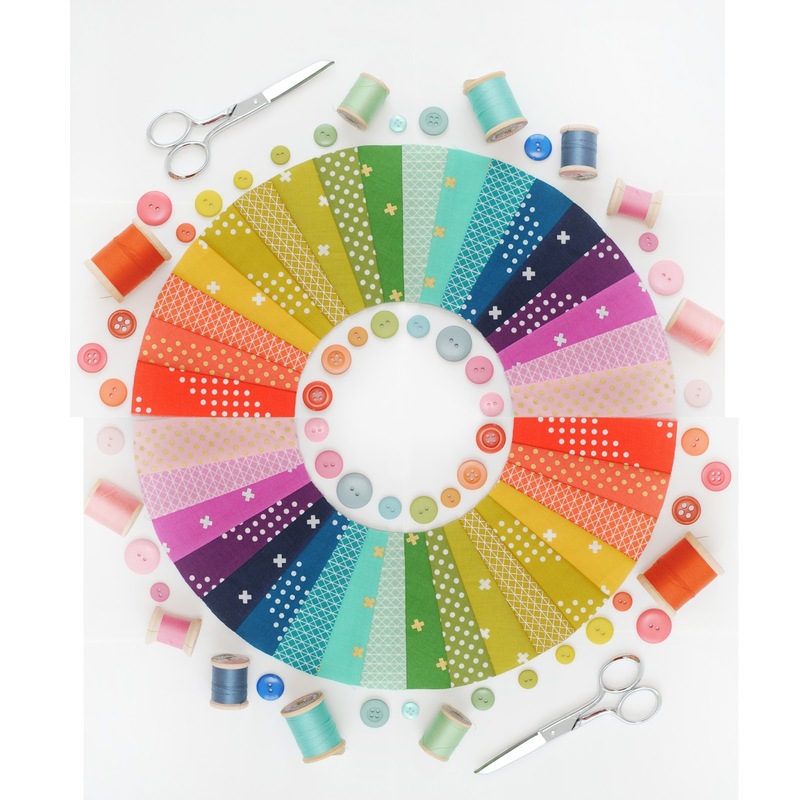 Aren't these colors just gorgeous and perfect for some fall sewing! One lucky winner will receive this gorgeous bundle of Succulence. Winner will be chosen at random and be notified via email Thursday Oct. 22, 2015. Be sure to swing by FabricCadabra to say thank you and give them some love! To enter to the giveaway, all you have to do is leave a comment with what you would make with the bundle. You can also get an extra entry by stopping by and following FabricCadabra on Instagram too! Easy Peasy right? Here's the catch- you gotta leave a way for me to get a hold of you if you are the winner- so make sure to leave your email address. Hope you are all having a wonderful fall! I make walker bags to donate to nursing homes. 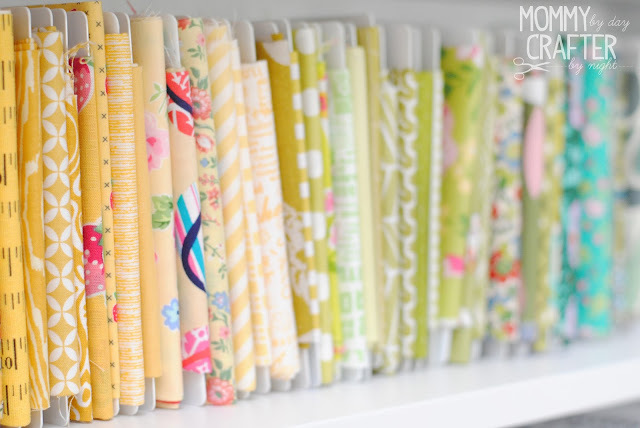 I am always looking for coordinating fabrics that are modern. Thank you, Ashley, and FabricCadabra! Long time no see, right?? Our family made a cross country move last month and with packing up, moving, and buying our first home I've been busy, busy, busy! We made it to the Midwest and are finally settled in so I will be back to the swing of things now. 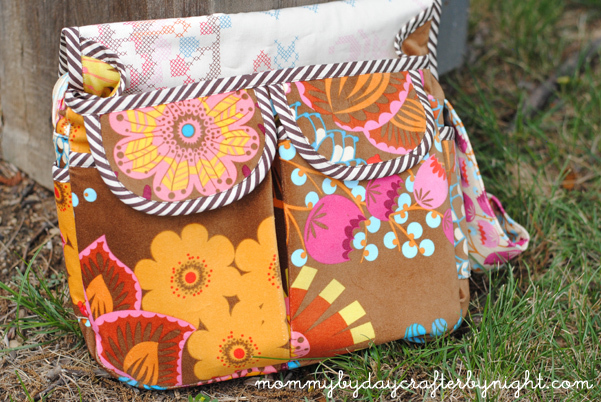 Now that both of my kiddos are in school all day, I am dying to get sewing and creating again! In the meantime, I thought I would share a little project that I finished a couple years ago but never got around to sharing. Y'all know that I get kind of obsessed with bag patterns when I find one that I love. Perfect example of this: The Amy Butler Weekender Bag. If you've been reading and following my blog for the past few years, you will know that I have a deep love for the Oliver + S Messenger Bag too. Like "I've made 10 of them" kind of love. I love the small version, I love the large version... I just LOVE the pattern! 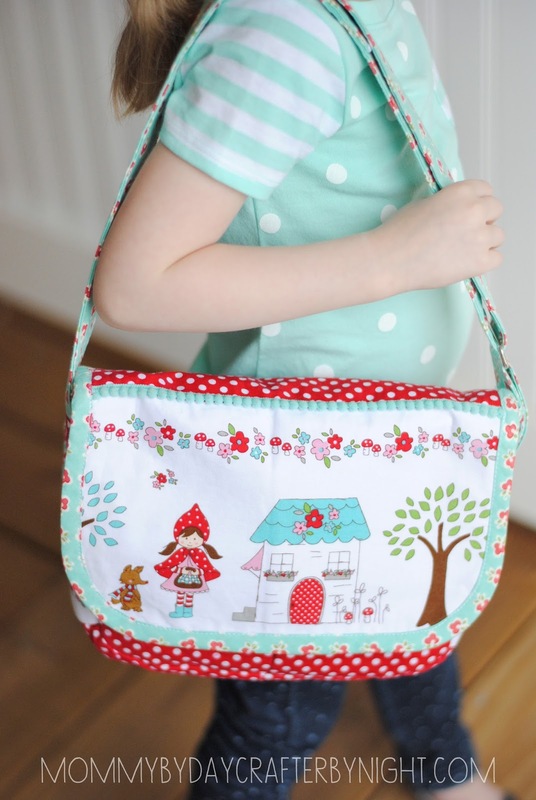 You can find the pattern for this bag in the Oliver + S Little Things to Sew book. If you have little kiddos (or just want to make a messenger bag) I would recommend this book. There are quite a few projects featured in the book along with the messenger bag- I've made a handful of the projects and they are all really fun. fabric: AMH Lou Lou Thi Velveteen (exterior + bag strap), AMH Lou Lou Thi Needlework cotton (interior), bias tape- brown and cream stripe from my stash. 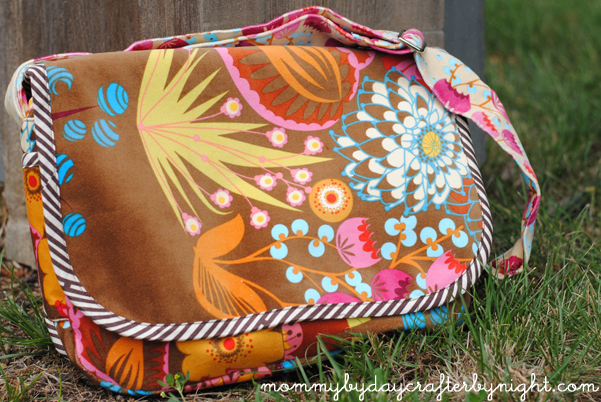 I loved using the velveteen for this bag. It added an extra durability to the bag, as well as an extra softness. I've spent the past couple weeks organizing my house to get ready for a cross country move from the South to the Midwest at the end of this month. 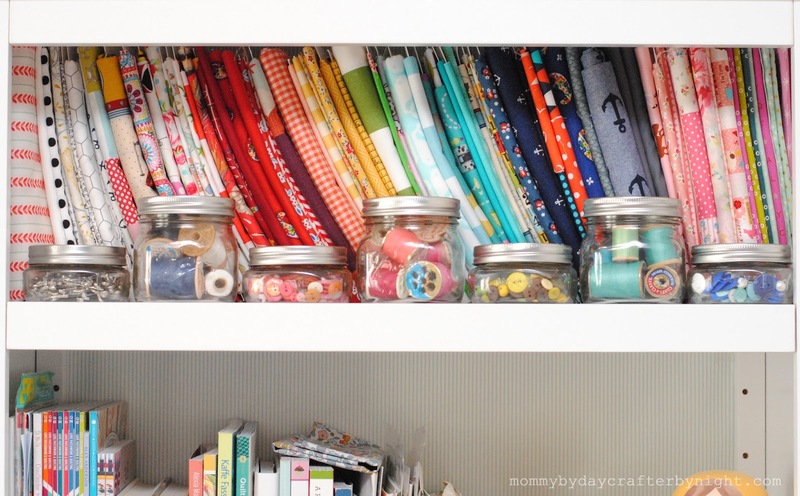 One of the things that needed the most attention was my craft room. 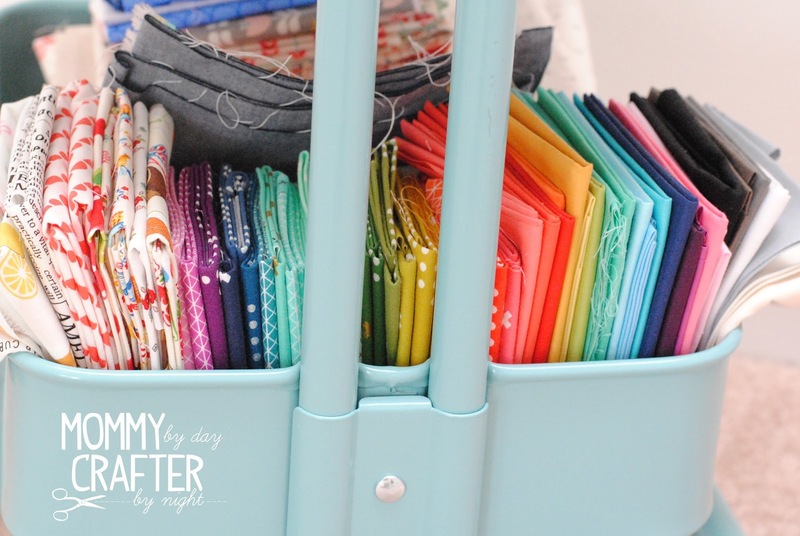 Back in 2012, I came across an idea to use cardstock comic boards as mini fabric bolts and got my fabric stash all organized. In the beginning the comic boards were great, but over the years, they started to become a problem for me. Like I said, the day I wrapped all of my fabric around the nice new boards, things were awesome. They seemed sturdy enough as long as I wasn't wrapping more than two yards on them. Since I sew just about every day and am always "shopping" my stash before I head out fabric shopping, those boards were getting wrapped and unwrapped left and right. I started to notice that after I would unwrap/rewrap the fabric around the board a couple of times the boards started to tear, bend, and not look so neat. So I started throwing out the boards periodically as they got ugly and never bothered to replace them. 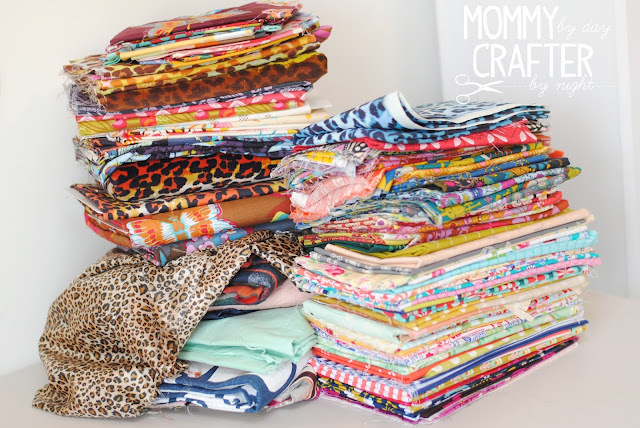 Before I knew it, I was back to my original problem of having piles of fabric and not being able to find what I was looking for. 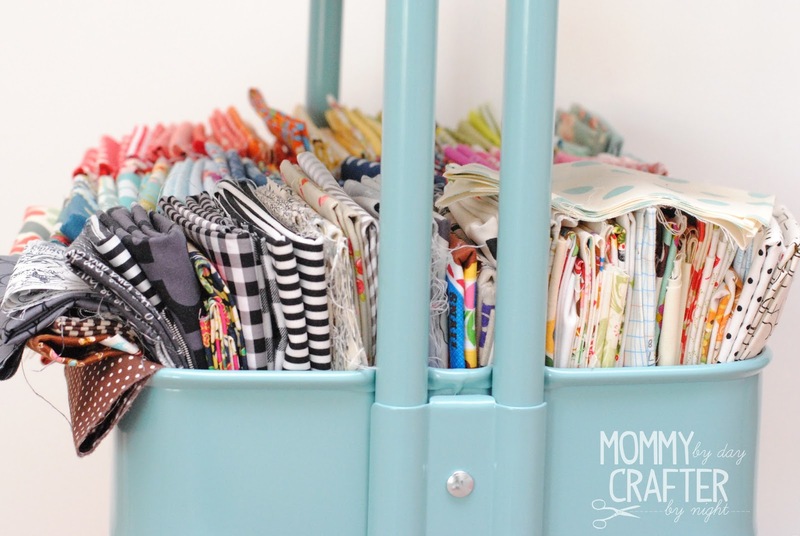 I've been keeping my smaller cuts of fabrics in my Raskog Cart from Ikea. I try to keep things organized by colors and it's been mostly functional, but after a while it too started to fall into disarray. It's so full that each time I pull a cut of fabric out, the surrounding fabrics come out as well, and trying to put the fabric back without having to reorganize a whole row of fabric is tricky. I know some people swear by the comic boards, but after using them for 3 years I knew that I wanted something more permanent that I wouldn't have to always be replacing. Plus, my raskog cart system for smaller cuts just wasn't cutting it! ;) I am pulling fabrics on a weekly if not daily basis, so I needed to switch it up in the organization department. It was time to bring in the big guns. I had the opportunity to test out some Polar Notion fabric organizers last November and the difference was considerable! I started with just a handful of boards, but I got hooked and knew that I wanted to fully convert my stash and get rid of the comic boards all together. This will make more sense if you have used the comic boards, but the comic boards are smaller than the original polar notion boards and are an awkward size to wrap the fabric because I had to fold it in thirds to wrap it. They are just the right sizes that you just fold the fabric in half and it fits perfectly. 2. They are made out of sturdy plastic and do not bend like the comic boards. They say you can wrap an entire bolt of fabric on one of the original sized polar notion boards. I don't quite have an entire bolt of fabric to test out that theory, but I did wrap 7 yards onto one and had no problem doing it. 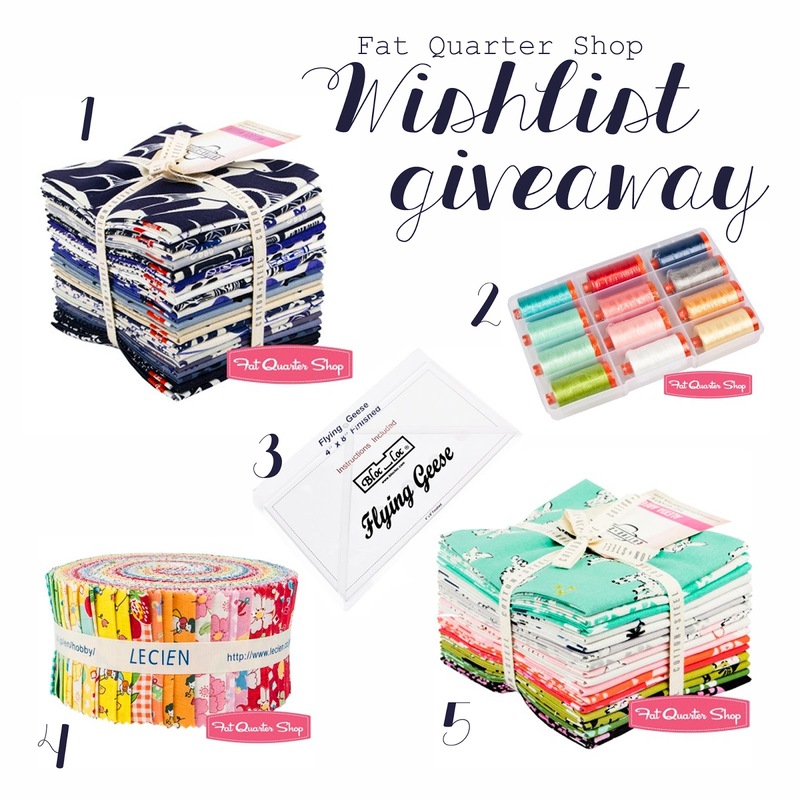 The fat quarter sized Polar Notion boards can fit up to a yard of fabric on them so they are perfect for quilters that buy small cuts of fabric. 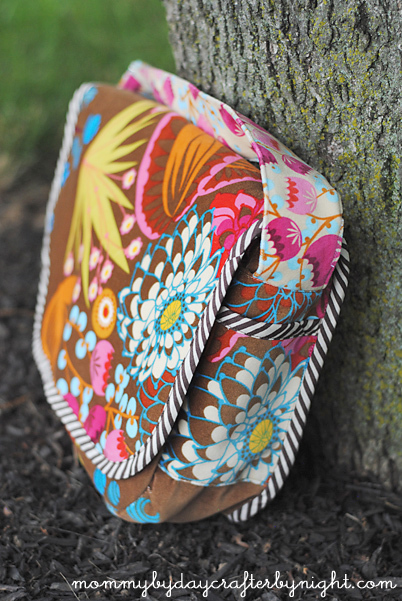 I have wrapped all of my fabric on both sizes of the Polar Notion boards and used the bolt buddy clips to secure them. I am so happy with the result! My stash is nice and neat again and a lot more manageable. The shelf that holds my yardage looks similar to when they were wrapped on the comic boards, but it is so much neater now. I love that they stand up straight and hold their shape no matter how many times you wrap or unwrap the fabric. 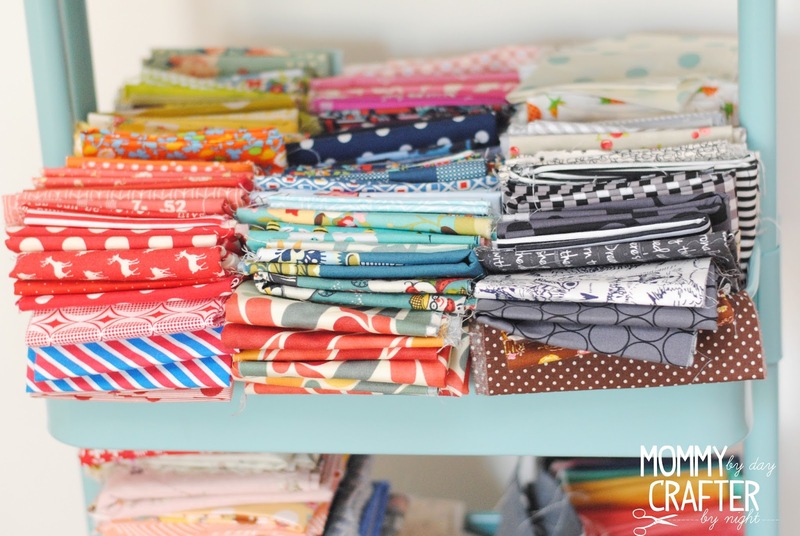 The biggest change in my stash storage is my fat quarters (and smaller cuts of fabric- I have eighth yards, quarter yards, half yards on these too). I can't get over how much I love being able to see what I have now that it is neatly organized on a shelf. They are so cute and tiny! I just love them! I used this Besta Frame ($35) and bought 2 shelves ($3 per shelf), which made it just the right height to store 3 rows of mini fabric bolts. So far I was only able to get just a couple shelves organized so I could take some pictures for my post, but like I mentioned above, we are in the process of moving so I had to start boxing up my freshly wrapped fabric and wasn't able to take pictures of it all completely set up. 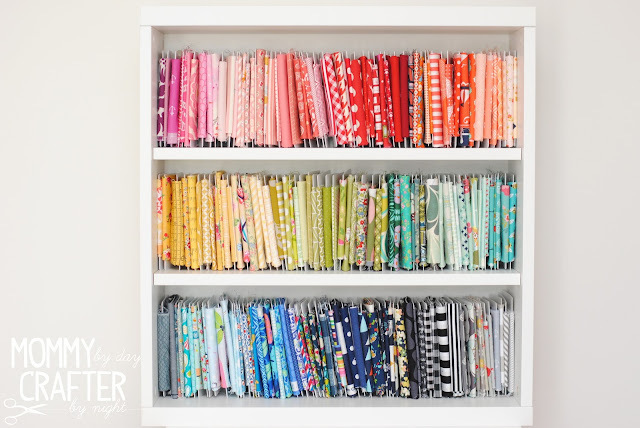 As soon as I get to my new place, and have all of my shelves up with fabric put on them, I will do a post with my entire craft room and pictures of the full makeover. Polar Notions is doing a giveaway and 4 lucky readers will receive 10 Polar Notion Organizer Boards (2 readers will receive the original size boards and 2 readers will receive the fat quarter size boards). To enter the giveaway, just leave a comment with your email so I can contact you and let me know which boards you would like to receive- the original or fat quarter sized boards. 4 winners will be chosen at random and notified by email on Monday July 20, 2015. This sounds like something I really need; my fabric is out of control and impossible to look through. I'd be happy with either size but more so with the original size. These boards are great. I would use the larger size more than the smaller. 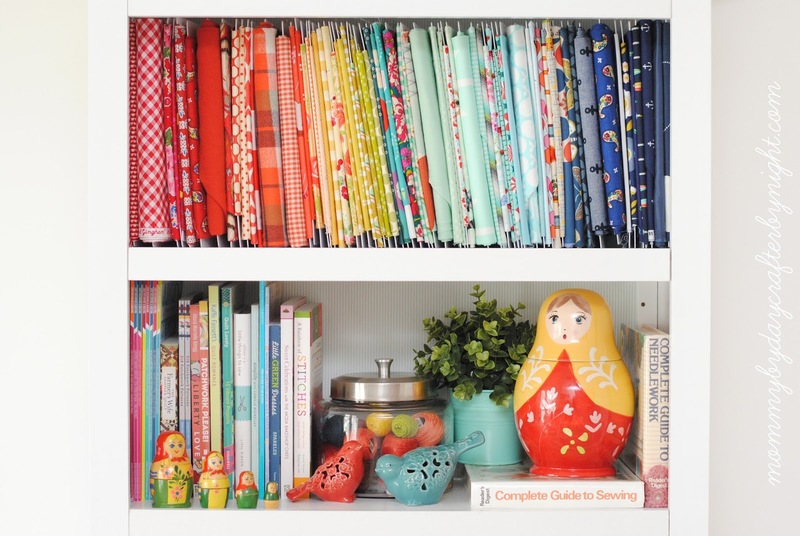 What a great organizational shelf. I would love to win the fat quarter boards. Thanks for the tip and giveaway. Thanks for stopping by! Happy Sewing! 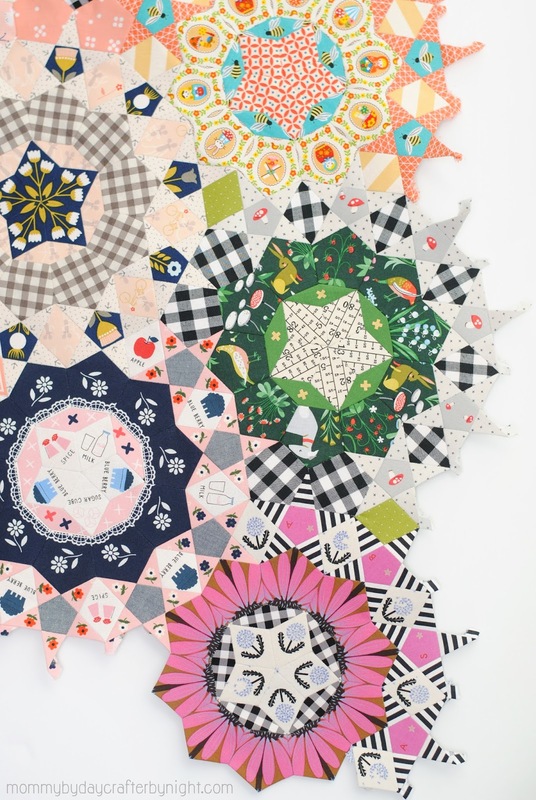 Quilt swaps are all the rage on Instagram right now! It seems like every week, there is a signup for a new swap. One of the things that is so fun about the swaps is that most of them are open to anyone who wants to join. It is a great way to make new sewing friends and participate- whether you are a blogger, or just love to sew. If you have never done a swap before, you should try it. It is a lot of fun! Once you sign up, you are given a partner to create a mini quilt for (someone different will be making one for you). In each swap I have been in, the partners have been kept secret so that you don't know who will be creating your mini and your partner won't know that you are creating the mini for them. 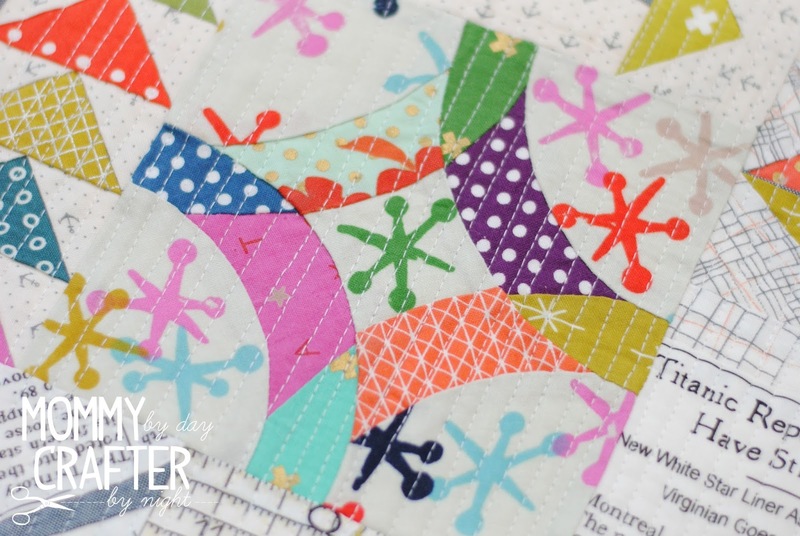 In larger quilt swaps, you are put into a smaller group and each group has a "swap mama" who is in charge of making sure that things run smoothly. The group usually has a separate hashtag, so when you search that hashtag you know that one of the quilts in that hashtag will be sent your way. A few months back, there was a signup for the Cotton + Steel Mini Quilt Swap (#cottonandsteelminiquiltswap), hosted by Modern Stitchin Mama. I love Cotton + Steel, so I knew it would be a fun swap. 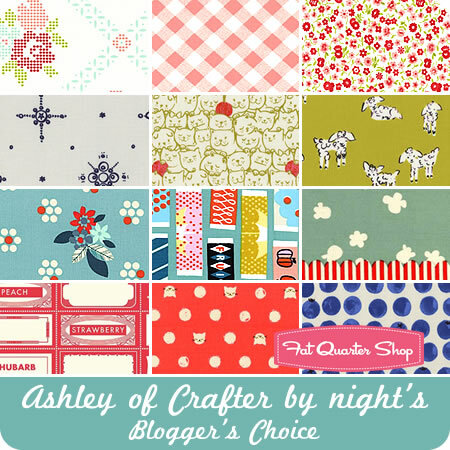 I have been wanting to create a mini sampler quilt, so it was the perfect time. It was definitely a labor of love and took a while to make, but I loved making each block. A lot of people have asked on IG if there is a pattern to make this quilt and the answer is yes... and no. I used a pattern for several of the blocks, but I also improved and made some without patterns too. So I thought I would link y'all to the blocks that DO have patterns for them. For my rainbow, I used 2 striped pattern pieces from the Pickle Dish pattern from Kaffe Fassett's Quilt Romance book and then pieced them together like a rainbow and then appliquéd the rainbow to the quilt block. For the crazy patch quilt label, I used this pattern. When the quilt was all finished, I wasn't sure that I would be able to part with it! ha ha But alas, the mailing date came and it was time for my mini to go to a new home. Even though it was so hard to part with my mini quilt, I was sent the most gorgeous mini in return from Crystal @keystonecharmquilts. I am so head over heels for this mini! It's absolutely perfect in every way! 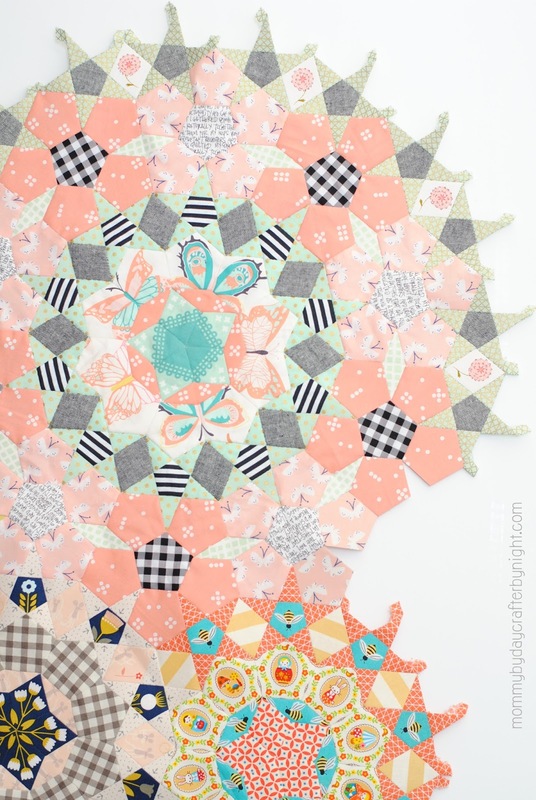 I love the way that she switched the fabric placement and did a different take on a traditional kaleidoscope quilt block! I can't wait to hang it on my wall! P.S. Happy 4th of July to my friends that live in the USA! I hope that y'all have a wonderful weekend celebrating our great country! 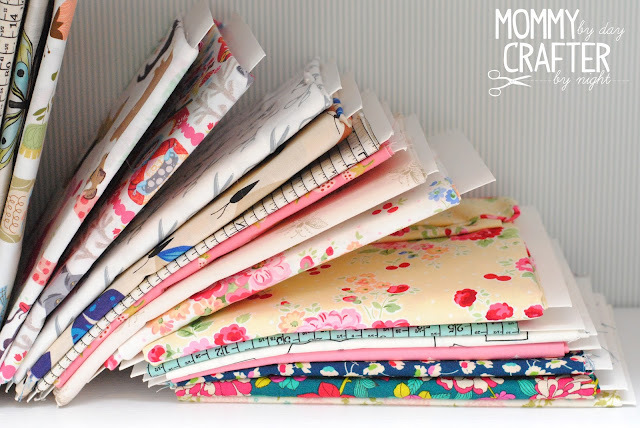 Lady Belle Fabrics is having a great sale! Head over to shop their deep discounts and sale section! Use code july4 to receive free shipping on orders over $50. Sale and code ends Monday July 6, 2015 end of day. If you have been following me on Instagram, you've probably seen the long term project that I've been working on lately. It's a crazy EPP quilt called the La Passacaglia. The pattern can be found in the Millefiori Quilts book (#1) by Willyne Hammerstein. I picked up a copy of the book as well as the paper pieces and acrylic templates at PaperPieces.com. It's definitely a bit of an investment to do this project, but it's also SUPER fun and addictive. 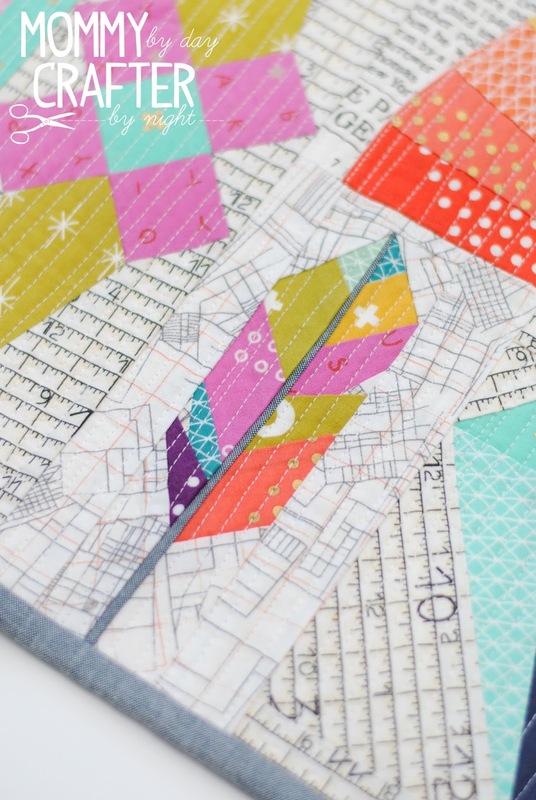 I love coming up with new color combos, fabric combos, and fussy cutting just about every single piece. I am just making each cog as I go along and not really giving much thought to the placement or end result, but I am having fun and love each cog that I create so I am crossing my fingers that in the end it will all work out and be a one of a kind quilt that I can treasure forever. It has been so much fun to start seeing the progress once I have sewn the cogs together! It is starting to actually feel like a quilt instead of just shapes. I plan to do a post soon with progress pictures of the full quilt (what I have done so far) and would be happy to answer any questions that anyone has- so just leave a comment below and I will answer it in my post. If you need an answer sooner, leave your email and I will answer you directly.